Through the exploration of six major automobile advertising themes—luxury, performance, safety, style, economy, and patriotism—guests are encouraged to discover creative ways car manufacturers have influenced purchasing decisions. 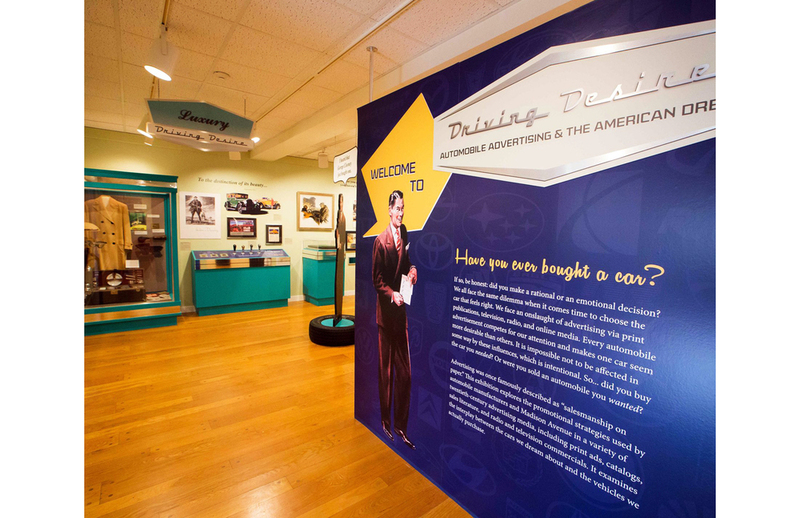 Driving Desire documents car ads from the industry's earliest years through the era of “Mad Men”—and invites visitors to appreciate how race, gender, and culture influence marketing. 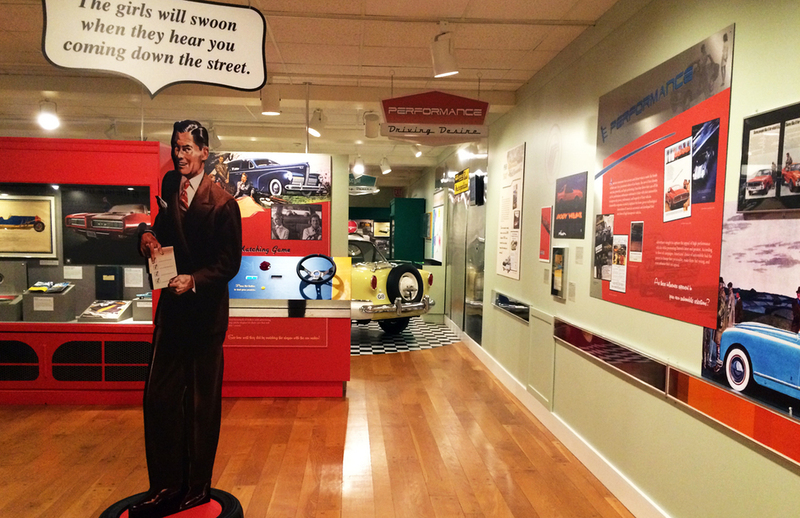 Drawing heavily from Hagley’s Vinson collection of transportation ephemera, the exhibit includes more than 100 rare and original advertisements and images, historic artifacts, engaging hands-on activities, and an original 1958 Metropolitan. 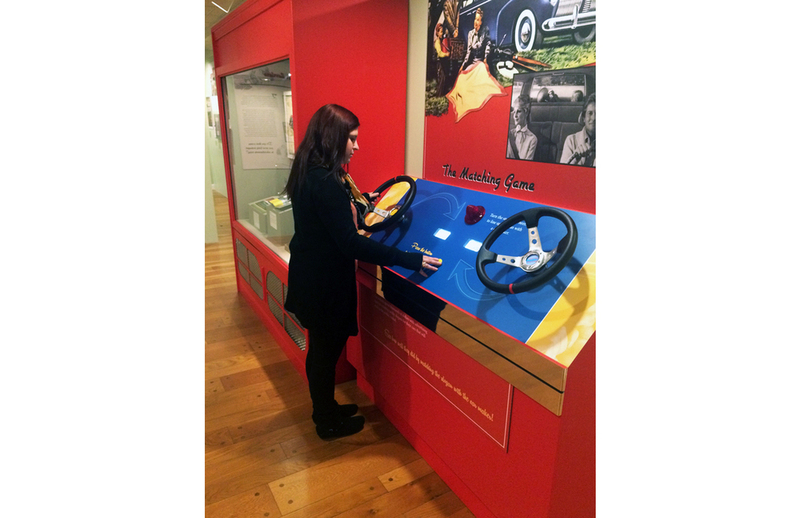 Working with Hagley staff, care was taken to provide an engaging and playful gallery environment with hands-on activities designed to allow visitors to not only have fun, but also to question their relationships with their own cars. The exhibition was produced by Hagley’s own shop. Driving Desire helps visitors appreciate advertising's influence on car buying decisions, while also reflecting our own desires and personal identities.